Where is it? What makes it golden? And is it really the best place for everyone? Team Stowga spend a lot of time thinking about the locations of warehouses. Finding and connecting customers to the right warehouses for their business needs is the reason we exist. Many people who come to Stowga have a pretty strong idea of where they need warehousing, they know their supply chains and have a good sense of where they need to be to satisfy their customers or gain access to transport, infrastructure or labor. 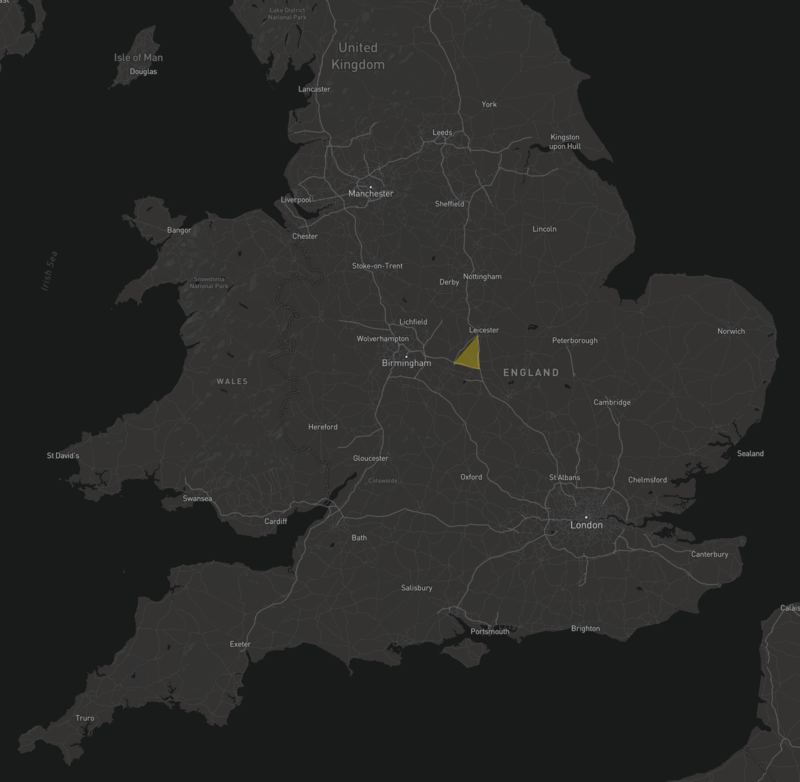 Increasingly, customers talk about the 'Golden Triangle' - Variably defined by consultancies, 3PLs and big operators, this is idea has been around for ages and is (apparently) the best place in the UK to locate your warehouse, but where is it? What makes it golden? And is it really the best place for everyone? We asked around and researched some existing definitions to understand if there is a consensus on the location of the Golden Triangle and its definitions. Golden triangle exercise was undertaken by clients and suppliers. The 'Original' MOTORWAY DEFINED (M6, M69, M1) Golden Triangle by most people in our research with clients and suppliers. Is any of that true, is it just hype, marketing...is it even a triangle? 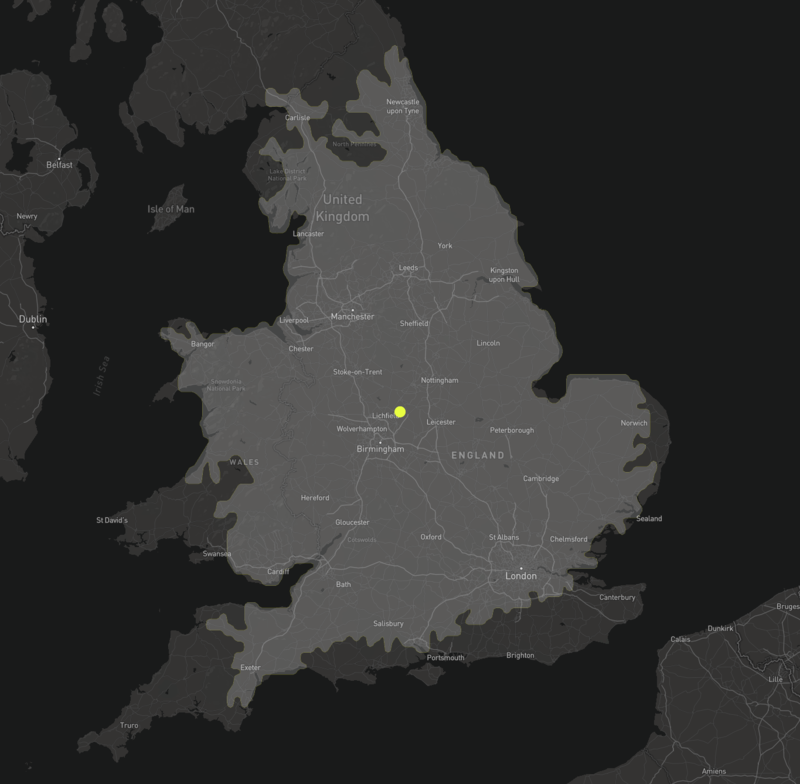 We wanted to see if we could find a proof or definition backed by data, something we could rely on when weighing up warehouses and their respective locations. Inferred in the idea is that it is one contiguous area, from within which, access to the target % population is always possible - i.e. no blackspots within the eventual triangle or shape. That it is triangular and that its 3 corners are quotable/memorable locations is also a massive plus allowing it to become accepted parlance in the industry. (Spoiler: we don't think it's actually a triangle). 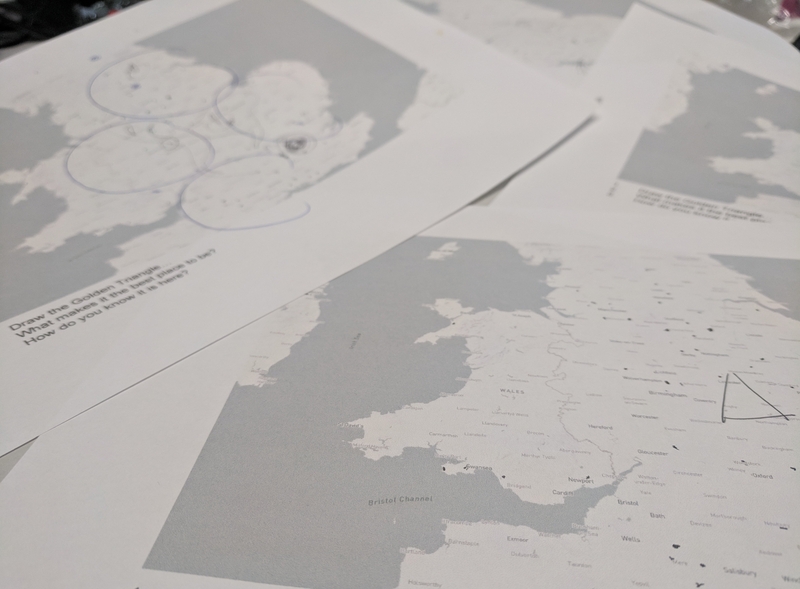 We started by trying to gain an understanding of the UK population and their locations. A useful concept we have used before is the idea of the POPULATION WEIGHTED CENTROID, best understood as the 'center of gravity' for a countries population If you know the population of all of the regions you can work out where this is. 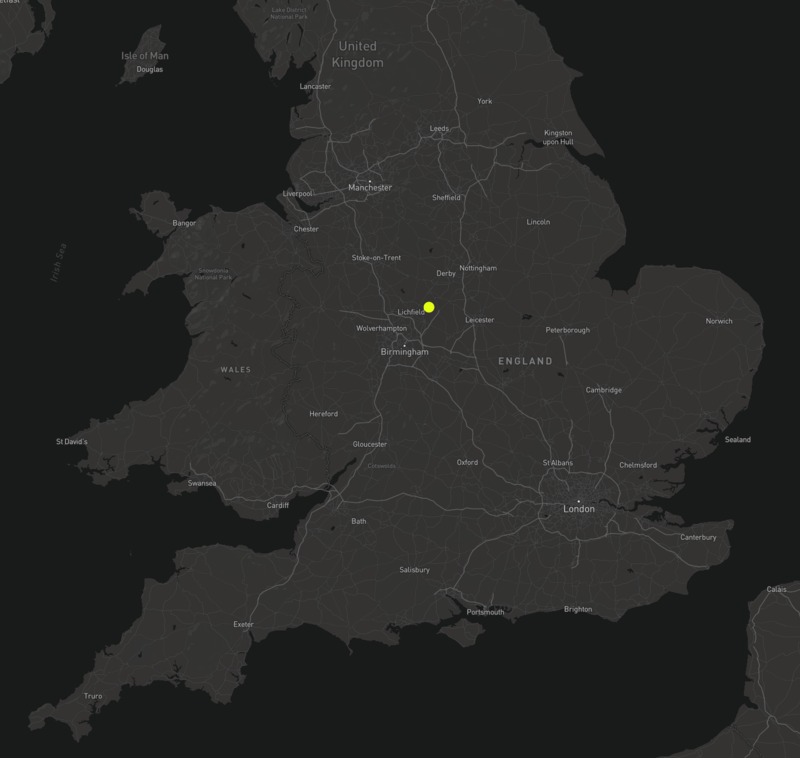 For the UK today it is at (52.7139, -1.6476), about 400m West of the Derbyshire village Lullingdon - I wonder if the 121 people who live there know?! The next thing to understand is the effect of the travel timeframe of 4 hours. Where can we get to from this point in a 4 hr period? Usefully there is another concept from the physical geography world we can use to understand this - an ISOCHRONE. 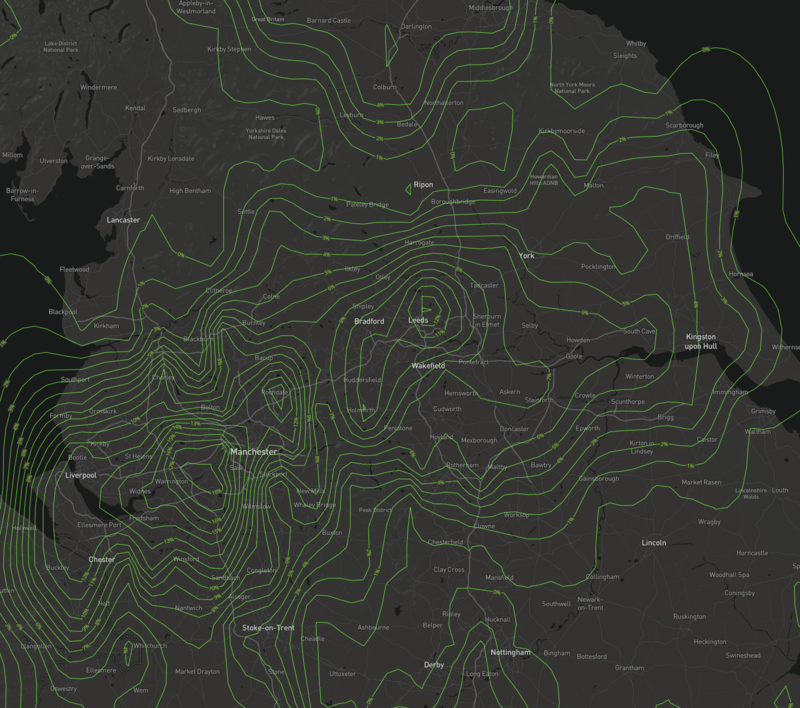 An ISOCHRONE defines the limit of the area on a map you can access within a given timeframe from a given point. 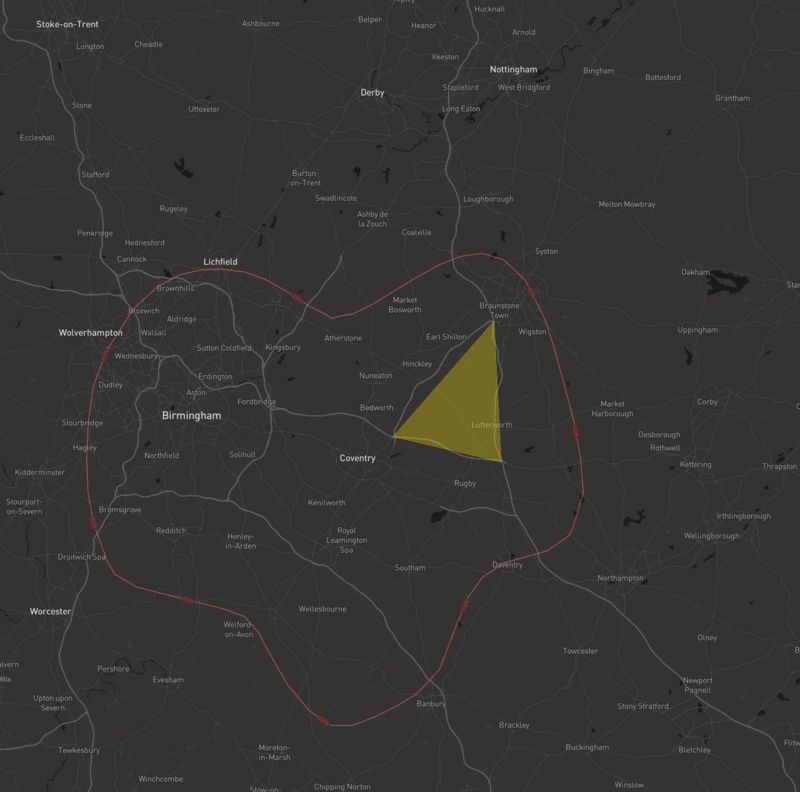 We can create an ISOCHRONE for our POPULATION WEIGHTED CENTROID and see where that would get us in 4 hours. The vast majority of England is accessible within 4 hrs of this point! We are after all a pretty small country area wise and 4 hours is a pretty long drive. How much of the population does this allow us to access then? We can work this out by looking at which population centers are inside the ISOCHRONE and working out what percentage of the population they represent. 78.833874% or about 52,062,600 people! - Pretty good for almost no work! We almost got to the target already but are still shy of 90%. But how helpful is that? Its a village, with no warehouses and also not a triangle or shape we can reliably say has the same access characteristics. We need to determine how far we can go from this point in all directions where the same level of access is possible or if there are other areas that share similar characteristics. 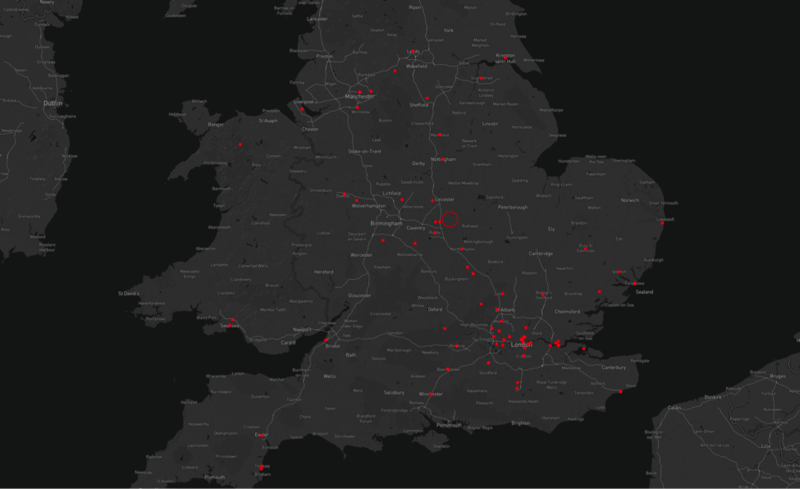 To work this out we generate a population access score for lots of places in the UK - in fact, a huge grid of coordinates - then, because lots of points are not easy to interpret, we interpolate their scores and generate lines which define how much of population access is possible within them. These are called ISOPLETHS (sorry, more physical geography) - they are to a population what an ISOCHRONE is to a timeframe, and they look a bit like this - they are sometimes called contours and work in a similar way - ours denote access to a percentage of the population rather than altitude. This map is not the 4hr total population access isopleth so don't read too much into it! This example above shows '% population of Women aged 80-84 with a Gross Disposable Household Income between £5000-£8000 accessible within 1 hour' - if you want the general one give us a call. If we run the '4hr Total Population Access Model' and hide most of what is being shown leaving just the highest access areas it looks something like this. First off - definitely not a triangle! Everywhere inside this shape is has 83% of the population with 4 hours- there are also a few areas with slightly higher access inside this ISOPLETH. No surprises to see our friends in Magna Park, Lutterworth front, and center here as well as DRIFT in Daventry. Turns out, based on our analysis, there is nowhere in the UK with access to 90% in 4 hours. How does it relate to our original golden triangles? 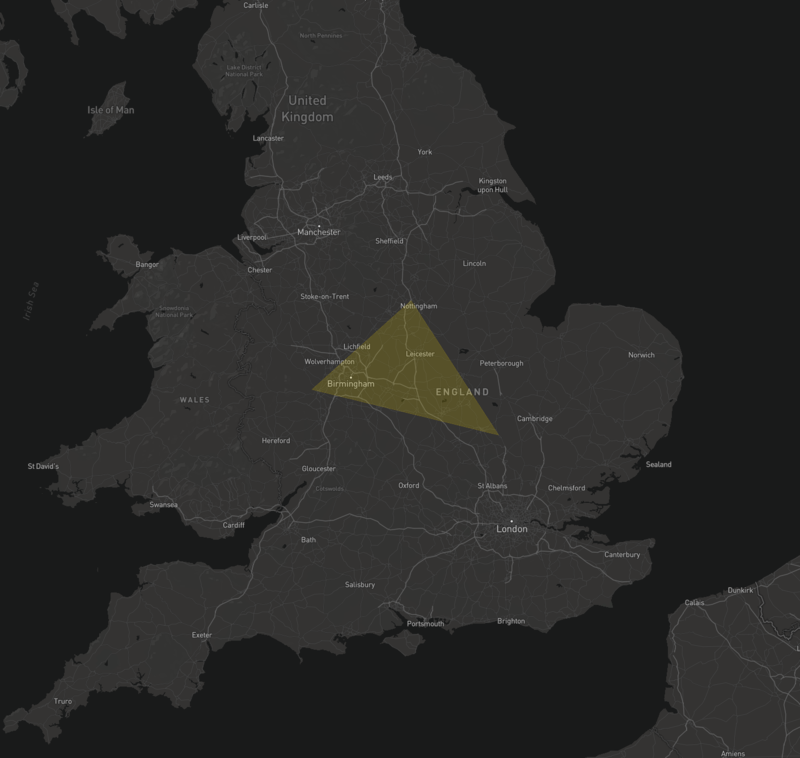 The NX golden triangle is not inaccurate, it does contain a large intersection of the highest ranked area (and the population-weighted centroid) but it also contains some areas which have poorer access to the UK population and ignores some other good areas south of its boundary. It contains areas with access as high as ~86% and areas as low as ~71% which is quite a margin. TAKEAWAY: Placing a warehouse in the triangle and feeling like you have made the right call is more nuanced than any 'triangle' allows for. The MOTORWAY DEFINED golden triangle is firmly in the high access area but again ignores a large number of other places with the same population access. TAKEAWAY: It's easy to remember and identify on a map, but it probably means opportunities are being missed if it's all you are using. So, what next? - well, 4 hours to everyone is only really a useful metric for a specific set of businesses. You have to want access to all demographics - most businesses know their audiences better than this unless you are a supermarket chain or a mail service. You want only one warehouse to serve as many people as possible - most companies look to use a network of warehouses in combination to satisfy their requirements. You only care about population access - there are countless other isopleths we can overlay in our analysis, for example, if you need many warehouse operatives or delivery people you need good access to labor - we can generate isopleths using populations of people looking for work. Stowga is always looking for ways we can help our customers think about these problems and connect faster and more reliably to the right warehousing partners. If you want to talk to us more about how we can use your business requirements to generate your perfect location map contact our team. Access to population is measured to the centroid of a region that population statistics are available for. The size of city populations makes this largely accurate though accuracy suffers in large regions with sparse populations where some access may be possible prior to reaching the calculated centroid such as in Northumberland or Scotland - it's not thought that this would materially affect the outcome of the analysis. The grid we interpolate from is of a size which makes the analysis faster to run against multiple population datasets. We can turn up the resolution which has some minor effect on the exact location of some of the isopleth vectors during interpolation, though nothing that alters the outcome in any remarkable fashion. We use a grid equivalent to ~10km increments and an interpolation resolution of about 0.5km. Initial GPS coordinates are all accurate to at least 6 places. Population Statistics are sourced from ONS government data and are the most recent set that has been made available.